I met Dr. Jim Gordon when I bought a condo in the same building he lives in. At the time I was a Speech Pathologist in the Rehabilitation Dept. at Cedars-Sinai Medical Center, so I know all too well the subject of Grief and Loss. 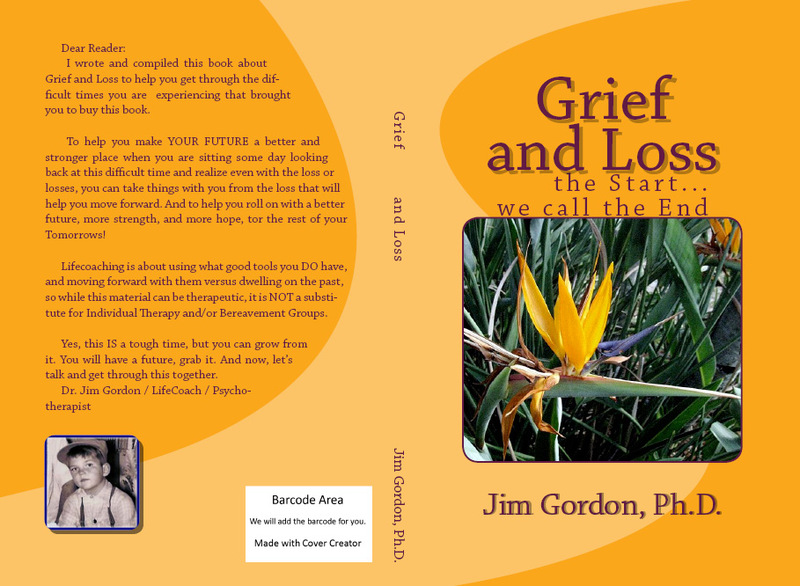 And when some of my family members died, Dr. Gordon sent me helpful, healing information and let me talk out my feelings with him. In this book, you’ll read all sorts of practical advice. In my own book, I’ve underlined some of my favorites – and I hope you will too. As one of the first ‘lay’ leaders of an Ecumenical Council of churches, I will always remember and appreciate your thrust in the 10 years you chaired – “Commonalities not Differences.” Catholic, Jewish, and six Protestant Churches working together – your legacy. Jim, we go back years, you helped me with my ‘AA Babies’ so many times when they were diagnosed with AIDS, and you had the words for me to help them through their illness. I needed real words, not a script and you gave them to me. So many times at the hospital we had to share the final days or weeks with the patients. Thank you for your support. You were able to help them, and help me help them end their journey with dignity. Jim, When I got your book in the mail, I set it down with a bunch of other books to read. The other day, I came home from hospital, and was assigned Hospice care for 6 months due to ‘old age’ and failing organs. I picked up your book, and thought I’d peruse it, but I read it cover to cover. Oh my, it is so right on with what I feel. Thank you.